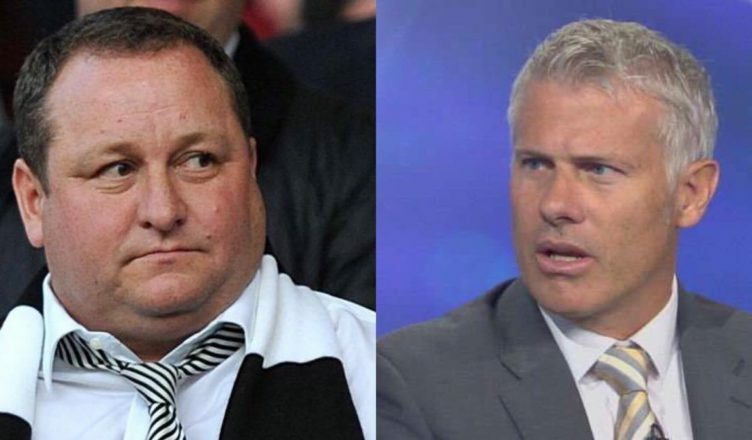 Ex-NUFC star reflects on Mike Ashley meeting & shares damning verdict – “He won’t sell” – NUFC blog – Newcastle United blog – NUFC Fixtures, News and Forum. Rob Lee believes Mike Ashley doesn’t want to sell Newcastle United and expects him to be at the club for many more years yet. The former midfielder admits to meeting the Sports Direct owner alongside Alan Shearer ‘many years ago’, claiming he was ‘okay’, but he’s fed up of his empty promises – saying he constantly seems to take ‘one step forward and two massive steps back’. “I met him once with Alan Shearer many many years ago and he was okay, he just seems to take one step forward and two massive giant steps back. “He seems to want to upset the Geordies, you think he’s doing alright then he comes out with a statement at the end of the season a few years ago, we’re going to invest money, we’re going do this and that, every money we generate, but he never does it. “I just think, you said a little while ago he’ll be there until the end of the season but he’ll be there much longer than that. If his step his one step forward was to sign Miguel Almiron, let’s hope he’s not about to take two steps back and fail to keep both Rafa Benitez and Salomon Rondon at the club this summer. Another takeover saga has now been and gone, with Peter Kenyon’s attempt to buy the club ending in disappointment just like Amanda Staveley’s, so it does feel like we’re stuck with him for at least another season yet. If Ashley does intend to stay, it’s time he actually showed some form of ambition. It seems Rafa’s not asking for obscene amounts of money, but instead a vision and some form of cohesion about the way in which the club operates and backs him as a whole. Let’s hope things move forward for the better in the coming months. After all, a Benitez-less Newcastle owned by Mike Ashley would be destined for disaster.